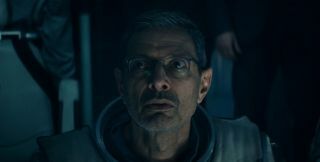 Between two full-length trailers, viral videos, and the requisite TV spots, we've already seen quite a bit from Independence Day: Resurgence. The upcoming summer blockbuster is exactly a month away from release, which is why I was initially a little reluctant to hit play on the excessive-sounding 5 minute trailer 20th Century Fox have released today. Thankfully there's a lot of familiar footage mixed in with the new, and it's teasing what looks to be a fun time at the cinema. This trailer gives us a few more plot details - including a little more info on what Bill Pulman's former President will be getting up to - and some more alien v human action. I'm still not sold on some of the new characters, and I highly doubt the film will hold many surprises at this point, but it's a well-put together trailer that gives potential audiences a flavour of what they'll be in for next month. Will you be watching?